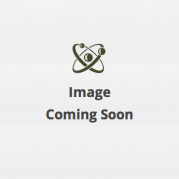 This Meade 8" LX90 ACF Computerized Telescope is an Open Box item and, therefore, in Open Box Condition. All Open Box items come with a full manufacturer's warranty. The new Meade 8-inch LX90 represents the latest step in the evolution of the LX90, featuring Meade's f/10 Advanced Coma-Free Optics. 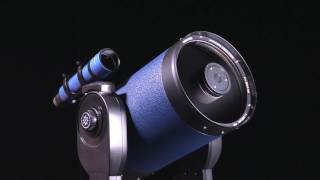 Building from a classic RC design, Meade has created a new optical design with the same coma-free pinpoint star images and flatter field that discerning astrophotographers and most professional observatories expect. The NEW LX90-ACF with Meade's Advanced Coma-Free system also reduces astigmatism and eliminates diffractions spikes found in classical RCs. No competing Schmidt-Cassegrain Telescope can make those claims. The LX90-ACF is the perfect platform for the demanding visual observer and imaging enthusiast with telescopes available in apertures of 8 inches, 10 inches, and 12 inches. When it comes to industry-leading optics, depth of features, and computerized operation, the LX90-ACF is the best all-around telescope value you can find. GPS - LX90-ACF can do more than track satellites. It talks to them as well. Turn it on and the built-in Sony GPS sensor immediately determines your precise date, time and location. AutoAlign then uses this info to align your scope for a tour of the most spectacular sights in the universe. With all the features of the legendary LX90GPS, plus the addition of Advanced Coma-Free optics and the ability to communicate to satellites, this new 8" Meade telescope now has it all. Slew Speed - The LX90-ACF slews (moves) from star to star at 7 degrees per second. That is more than twice as fast as the competition. 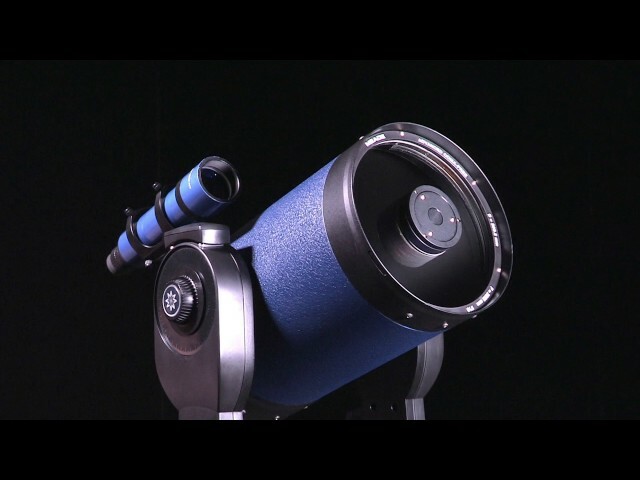 This means that over the course of an evening, the 8" Meade telescope will show you two to three times more objects. Rigid Cast Aluminum Fork Mount - The Meade LX90-ACF's Optical Tube Assembly is mounted on two sturdy fork arms giving you a rock solid platform for astrophotography. Smart Drive - Meade's AutoStar provides Periodic Error Correction (in polar mode). Over the course of one or more training periods, your 8" Meade telescope will minimize guiding corrections during long exposure astrophotography.